Jingbing Li specialises in litigation and has extensive experience in dealing with a variety of complex litigation matters, particularly in the areas of IP enforcement, business litigation and trade dispute settlement. Mr Li has represented clients in IP litigation since 1990 and has accumulated vast experience in this particular field. 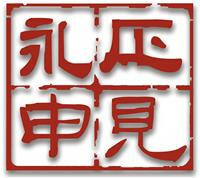 Mr Li has intimate knowledge of administrative proceedings for relevant state administrations, including the Trademark Office, the Trademark Review Adjudication Board, the State Intellectual Property Office, Patent Re-examination Board, the State Copyright Bureau, the Administration of Quality Supervision, Inspection and Quarantine, the State Food and Drug Administration and the IP Protection Department of the General Administrations of Customs. Mr Li is familiar with the IP judicial court procedure at all levels. Among the numerous complicated and original litigation cases that Mr Li has dealt with in the fields of trademark, patent and copyright, many have been used and cited as examples on the proper handling of an IP case. Mr Li has extensive experience in all aspects of IP rights, including trademark, trade dress and trade secrets, software copyright and patent litigations, representing both plaintiffs and defendants at trial and appellate court proceedings. Mr Li has successfully assisted IP rights holders in enforcing their protection strategies. He has also prosecuted important administrative actions before the Trademark Office and the State Intellectual Property Office. He has proven his litigating abilities and professional skills nationwide, particularly in the Beijing courts and the Supreme People’s Court. His vast business litigation practice includes representation of plaintiffs and defendants in cases involving business torts, product liabilities, contractual disputes, fiduciary matters, international trade law, libel, slander, unfair trade practices and unfair competition. 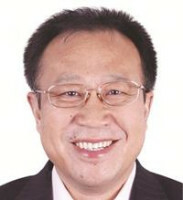 Mr Li has significant international trade law experience, representing clients in arbitration, anti-dumping investigation and World Trade Organisation dispute settlement procedures, where he was one of the first Chinese lawyers to represent Chinese industry in Geneva since China’s accession.